Soror is a story about two sisters, whose dependence on each other reaches a breaking point with the threat of a future that will tear them apart. The youngest of the two Grace (played with an almost angelic naturalism by Rosie Day) is shy, awkward and possibly autistic (although this is never explicitly stated), while the older, Lisa (a strong, impressive turn from Sian Breckin) is her touchstone: part sister, part care giver, part best friend. Orbiting these two is Mum, Amanda (Kate Dickie), a broken woman who spends her days cleaning the houses of seemingly happier people, while her own existence is that of martyr, near invisible to those around her. A ghost haunting her own house. All three characters are connected, not just through blood, but through the tragic loss of a father and husband, a loss that they have never quite come to terms with. And while those around her can’t seems to comprehend her motivations, Soror paints a portrait of a young woman who has put her life on hold for the sake of a sister who would have struggled without her. It’s a film about escape, as well as the fear of change. Writer/Director James Webber has a distinctive eye for abstract imagery, which he marries to a sort of lyrical naturalism, often found in the work of Andrea Arnold. The Arnold connection continues in the casting of Dickie as Amanda. There are few actors that can do so much with so little. In Soror, she only has a handful of lines, and yet, the history of this woman is written across her face, in her world weary eyes, or how she moves, almost as if the body has given up. The film gets its energy from the scenes between Day and Breckin, who inhabit the characters, their chemistry almost eerily good. You really believe they have a history, a history that has seen Lisa become the paternal force in their household. If Soror is light on plot, it’s deliberate. This is a film laced with rich visual metaphor. Every scene contains an element relating to escape, or transcending: a plane flying overhead, a new job prospect, alcohol and cigarettes. The film often slows down, particularly in moments when Grace feels stress or insecurity, before dissolving into an abstract darkness, where the characters stand in beams of light. Grace is a talented dancer, which is her own means of escape. Escape from the glaring looks of the girls in her dance class, or from the tensions between her mother and Lisa. Escape from a world where even her umbrella is beginning to break. Cinematographer Lorenzo Levrini gives the film a wonderful colour palette, complimenting Webber’s direction with steely blues and ethereal whites. Indeed, the whole film feels more like a visual poem than a traditional narrative, utilising flashback to an extremely emotional effect. A sequence at “the tree” as Grace calls it, brings back memories of a their dead father, while a sequence in which Lisa and Grace find themselves enveloped in billowing white curtains, upon which images of their younger selves are projected, is quite frankly breathtaking. The final piece of this puzzle is Richard Keyworth’s music, strong on piano and guitar, giving the film a contemporary, yet classical tone, a perfect match for the tug of war between the past and the future. The film ends on Grace, as she performs her routine to her dance class. Once again, the film dips into fantasy, as she imagines herself dancing on a darkened stage, the spotlight following her, wrapping her in a light that seems to come from nowhere. In other words, a perfect metaphor for love. And if that might seem overly sentimental, fear not. Webber has a firm grip on what makes this sort of drama so powerful. 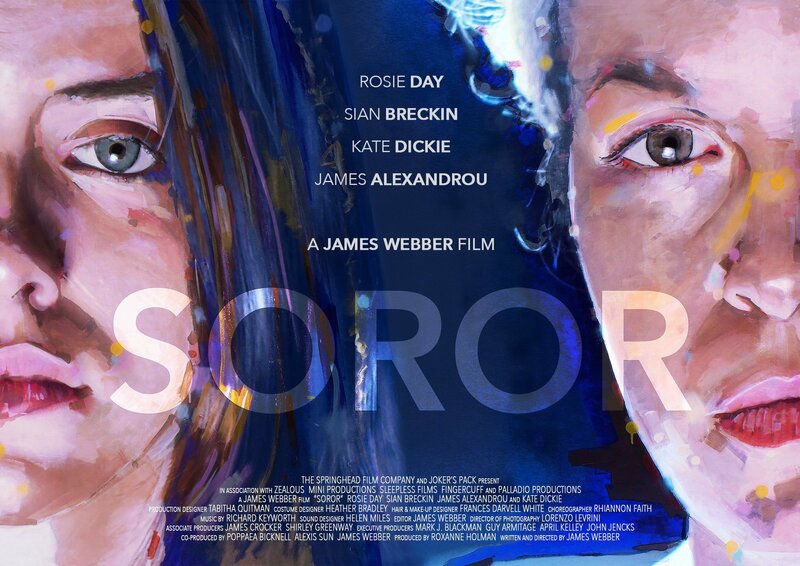 At its heart, and this film has plenty of that, Soror is a film about the bittersweet power of memory. Soror is now available to watch for free on digital distribution platform Findie. For other indie film findings, check out our Review section.